Discussion in 'Electrical' started by Huskidrive, Jul 8, 2018. They want you to connect it to source that's only hot when the engine is running. That way the coil for the choke isn't sitting there cooking itself with the engine off. 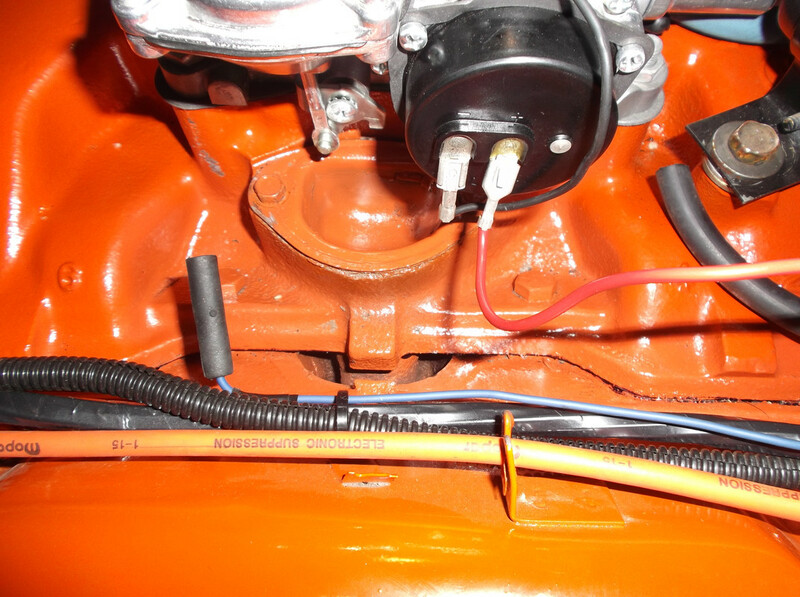 With the engine running, the external vacuum source draws fresh air into the choke housing, which prevents the heating element in the choke housing from overheating. Thanks, I know how it operates, what i would like to know is there a convenient 12 volt source in the engine compartment, or do I have to run the wire through the firewall to the fuse block. I know you can't use the ignition coil for this purpose. I know most folks simply tap off the ballast resistor. If you do that however, it's a good idea to use an in-line fuse in your feed line to the choke. Some folks also tap into the fuse panel, and some guys use a relay setup triggered by the alternator field circuit or other engine run source. I feel any 12V source will do, except for those that are still live in ACC position.... to easy to forget there. Other than ACC, if your key is on, chances are you have the engine running. Thanks, that was most helpful! 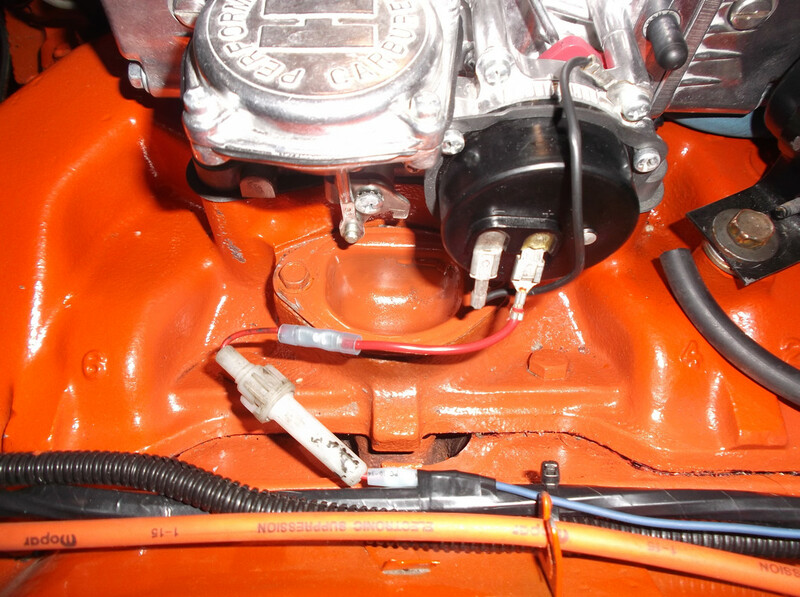 I just want to keep the engine compartment "clean"
I found an unused 12 volt wire on the engine harness. It's on only when the key is in the run position. Best of all it was only 4 inches from the choke! I installed a fuse and all is well! I think we might have talked about this before.... But did you block off the heat riser to the intake when you reinstalled the intake manifold? Reason I as is, I noticed that you have a thin gasket between the carb and the intake manifold. If you run into a "Hot Soak" problem of the base of the carb running to hot and boiling the fuel in the float bowls, just add the isolator to help the issue at a later date. Yes, I bought the high performance fel-pro gasket that blocks the exhaust crossover.